Few writers in America today combine James Lee Burke's lush prose, cracking story lines, and tremendous sense of history and landscape. In Cimarron Rose, longtime fans of the Dave Robicheaux series found that the struggles of Texas defense attorney Billy Bob Holland show Burke at his best in exploring classic American themes -- the sometimes subtle, often violent strains between the haves and the have-nots; the collision of past and present; the inequities in the criminal justice system. Heartwood is a kind of tree that grows in layers. And as Billy Bob's grandfather once told him, you do well in life by keeping the roots in a clear stream and not letting anyone taint the water for you. But in Holland's dusty little hometown of Deaf Smith, in the hill country north of Austin, local kingpin Earl Deitrich has made a fortune running roughshod and tainting anyone who stands in his way. Billy Bob has problems with Deitrich and his shamelessly callous demeanor, but can't shake the legacy of his passion for Deitrich's 'heartbreak-beautiful' wife, Peggy Jean. When Holland takes on the defense of Wilbur Pickett -- a man accused of stealing an heirloom and three hundred thousand dollars in bonds from Deitrich's office -- he finds himself up against not Earl's power and influence, but also a past Billy Bob can't will away. 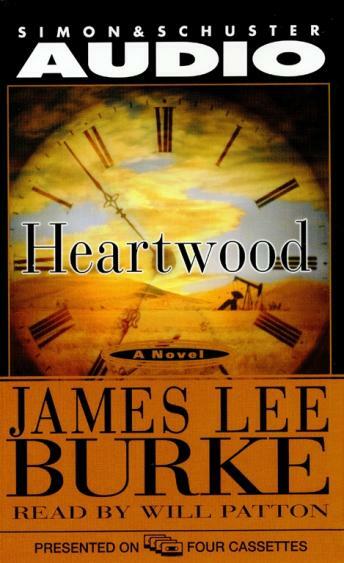 A wonderfully realized novel, rich in Texas atmosphere and lore, and a dazzling portrait of the deadly consequences of self-delusion, Heartwood could only have been written by James Lee Burke, a writer in expert command of his craft.